Swim club, pool celebrating 50th landmark season in water - Media Articles | Merrylands A.S.C. Inc.
BACK in the water at the Merrylands Swimming Centre, squad training for the Merrylands Amateur Swimming Club (MASC) began last Tuesday ahead of the 2018/2019 competition season. MASC president Graham Edwards said this would be their 50th season as a club. "The club started just about the same time the pool opened in November 1968," he said. "On Saturday, November 10, we are having a back to Merrylands Day and we are calling on past members to come and join us to have a swim. "New members are also invited. We welcome swimmers of all ages, from toddlers through to masters; we welcome everyone." 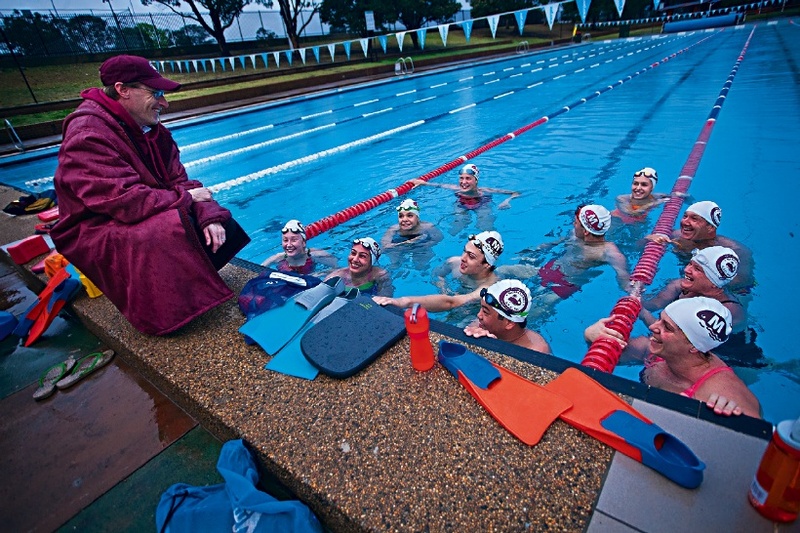 Conditions were just as wet on the pool deck as in the water as swimmers from the Merrylands Swim Club returned to squad training at the Merrylands Pool last week.